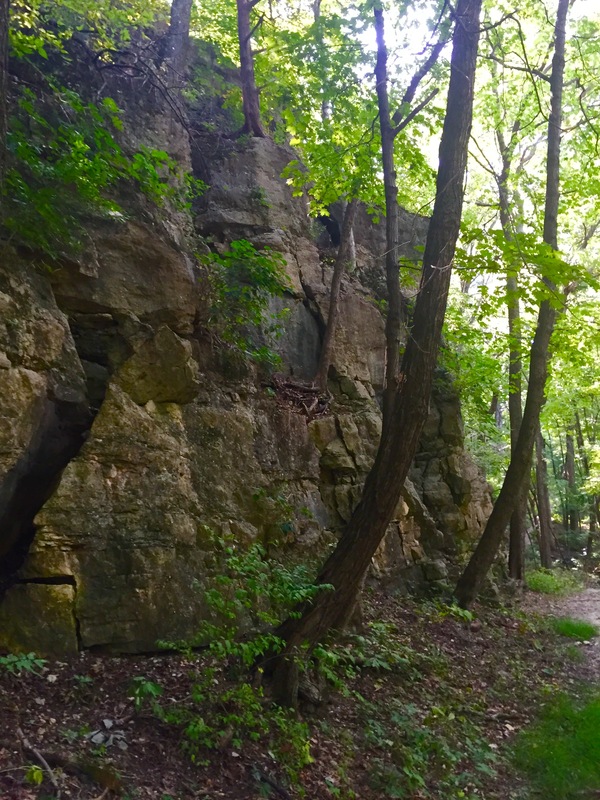 Pere Marquette State Park is located along the Great River Road, just past the charming town of Grafton, Illinois. 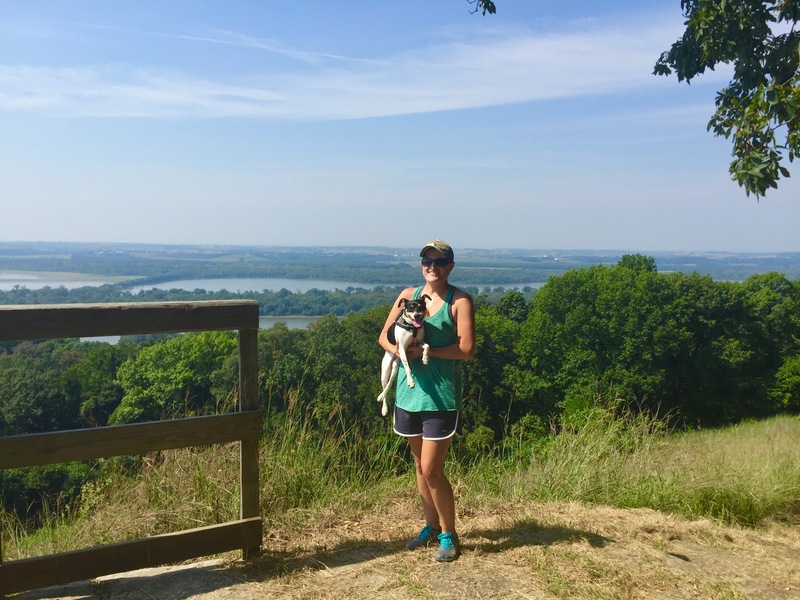 The drive to the park along Highway 100 is spectacular since the bluffs tower on your right and the Mississippi River sparkles to your left. I have been to this park more times than I can count, but have never really hiked here. We parked in front of the Visitor’s Center since the trail we wanted to take is just to the right of the parking lot. If you get a chance, go inside of the Visitor’s Center. There is a really interesting 3-D map of the area (I love maps!) and I know this is random, but the floors are also really beautiful. 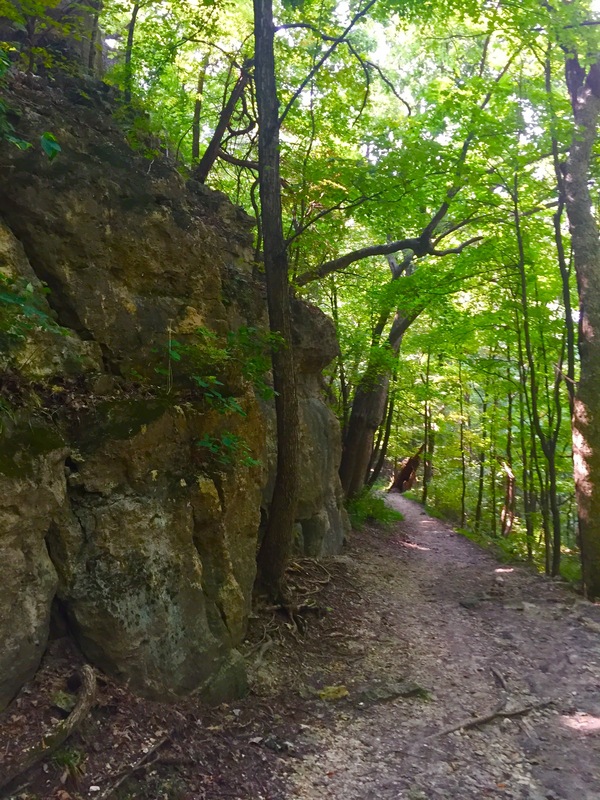 We started hiking on the Hickory South trail. This trail is blazed in red with white circles. A lot of this trail was rutted up due to water washing away the trail, but it was not too challenging. 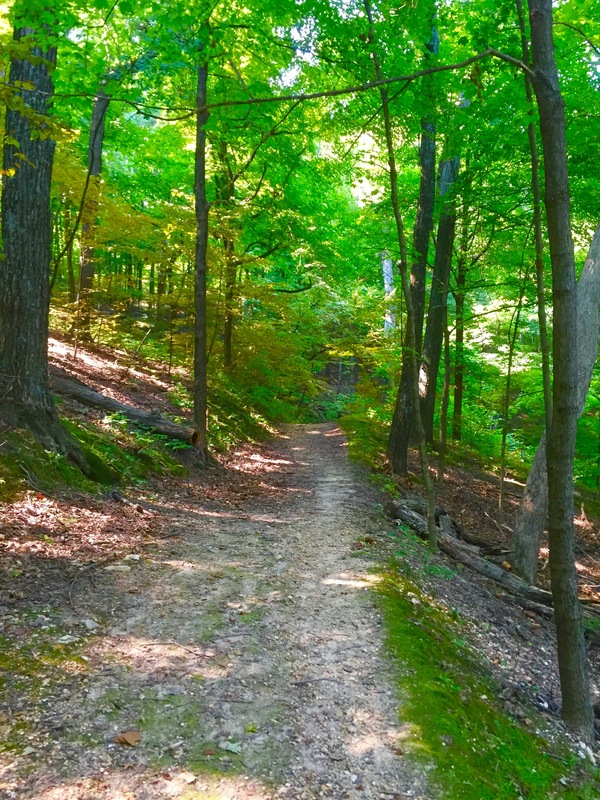 When this trail met up with the Fern Hollow trail, blazed in orange, we extended our hike on that trail. 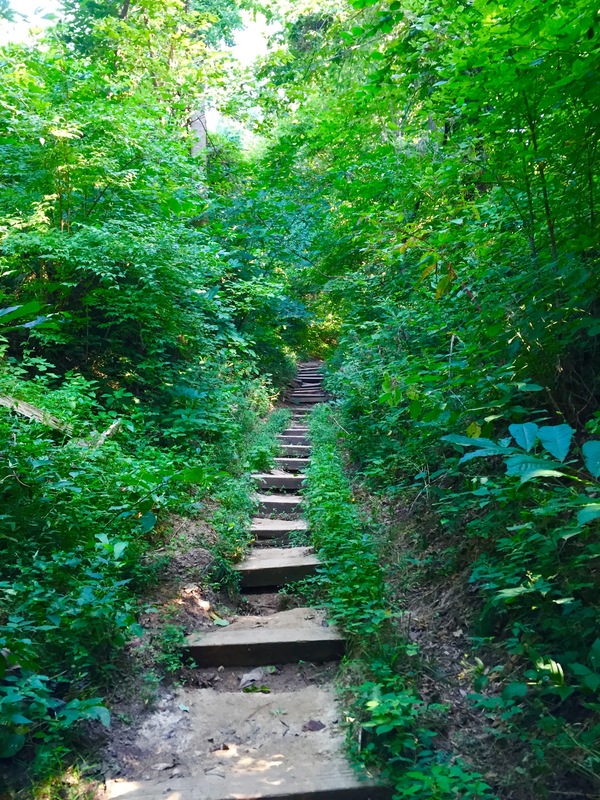 This trail is just a nice walk through the woods. It crosses the main road and then loops back towards the Visitor’s Center. This trail then intersects with the Hickory North trail and we stayed on that trail. 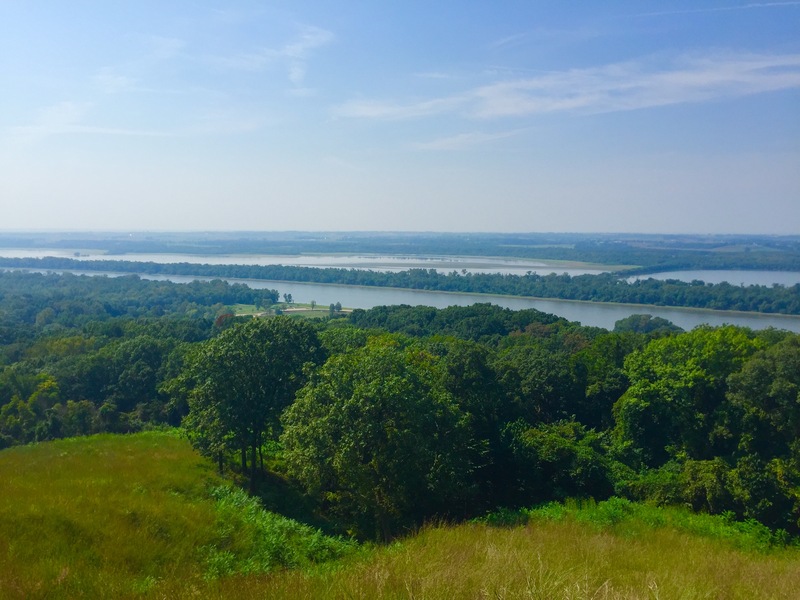 Once of the most spectacular overlooks in the park is found on this trail and is called the Twin Mounds Overlook on the trail map below. 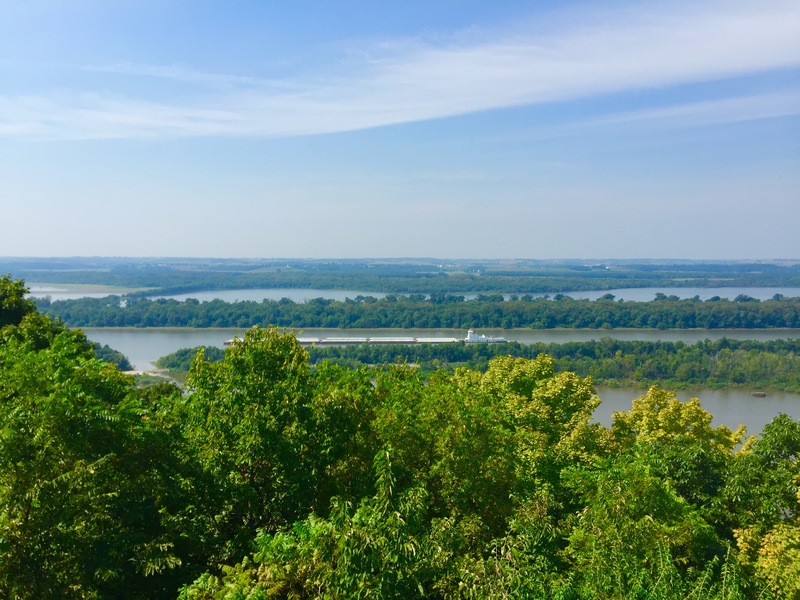 You are high above the Illinois River and you can see forever. 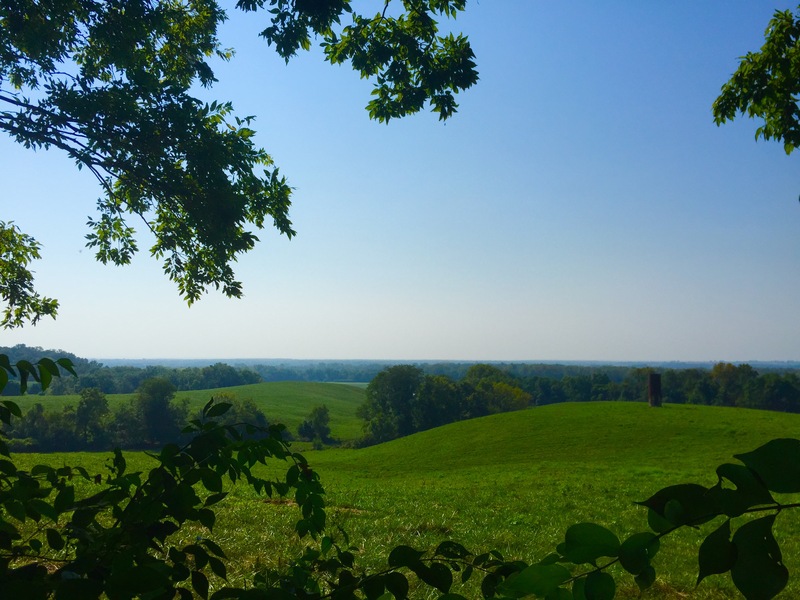 I loved seeing the different colors of farmland far off in the distance. Just up ahead, 4 trails intersect and there is another stunning overlook called McAdams Peak. 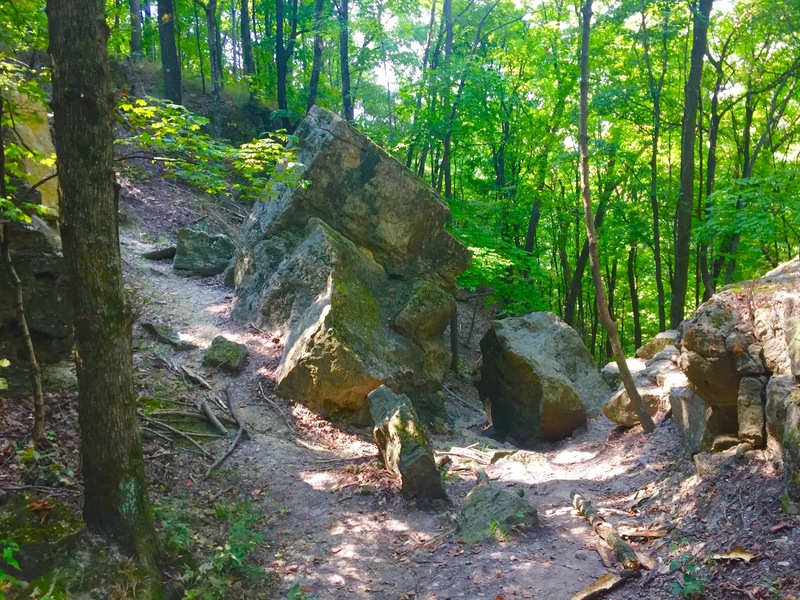 So if you hike only one trail in the entire park, it should be the Goat Cliff trail. 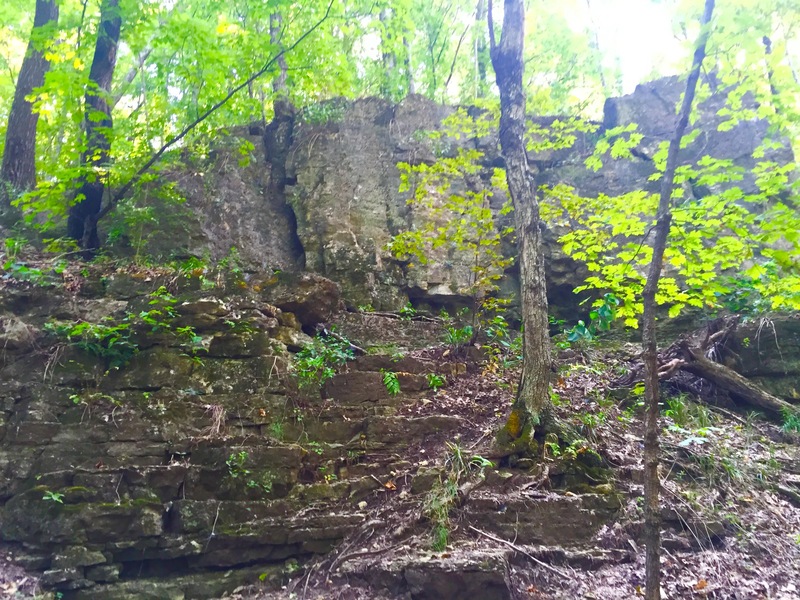 This trail is packed full of interesting rock formations and towering bluffs. 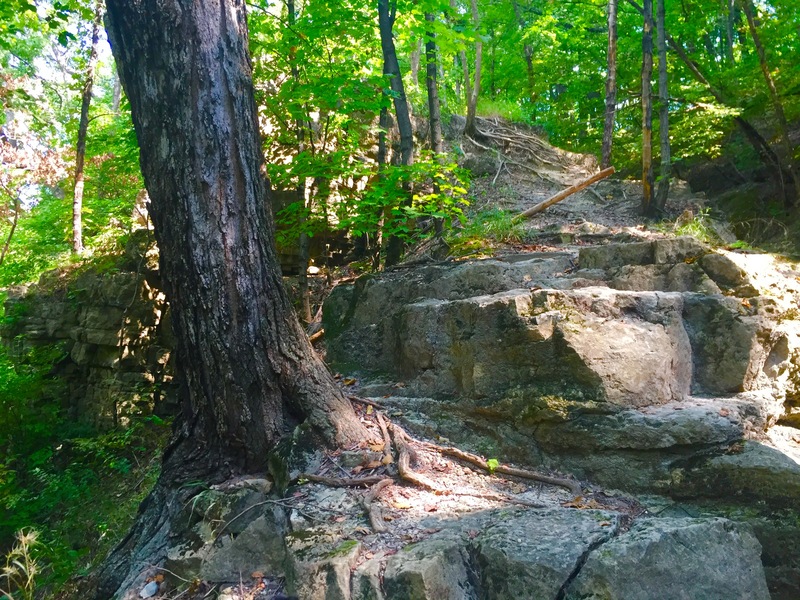 If you hike it counterclockwise, it is downhill the whole way and it is not very long. 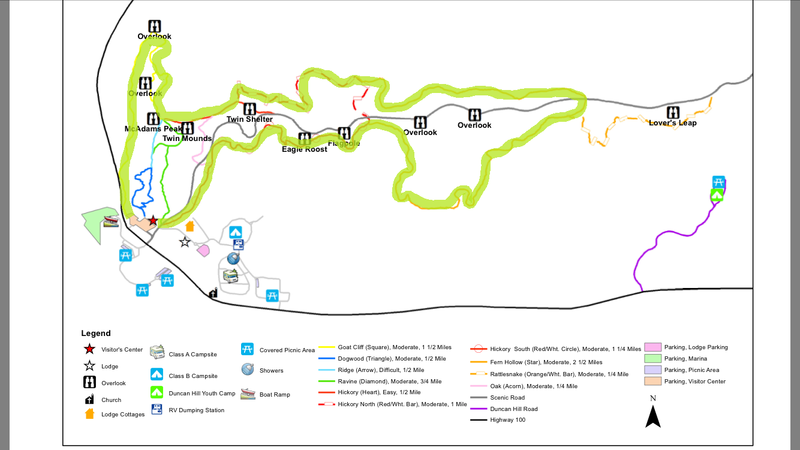 Our total hike was about 7 miles and you can see the trails we hiked on the trail map below. There is also a scenic drive at the park. The road leads you uphill to some really nice overlooks and this is a great option if you do not want to hike, but still want to take in the views of the river. 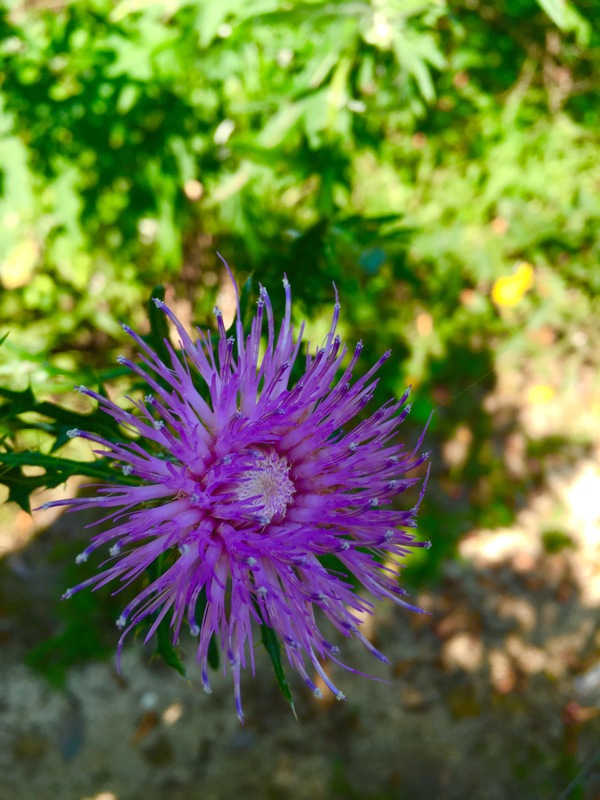 If you are looking for more auto-touring options, when leaving the park, head right on Highway 100 and head up to Kampsville. In Kampsville, cross over the Illinois River via the ferry and head south. Once you get to Brussels, take the ferry here and then you are back on the Great River Road. I have driven this route several times and it is beautiful in the fall when the leaves are changing colors. The total drive is about 60 miles round trip. 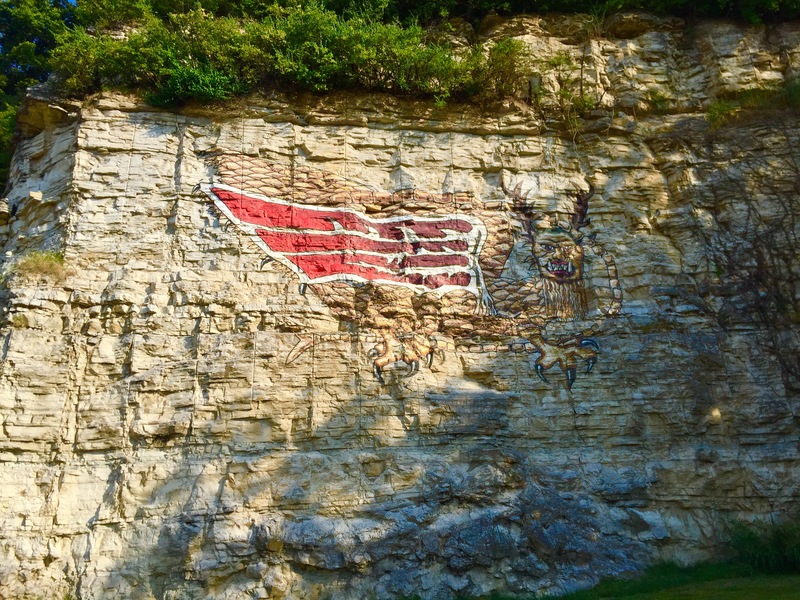 Another interesting site in the area to stop at is the Piasa Bird which is just outside of Alton, Illinois on the Great River Road. In the late 1600’s, when French explorers were exploring the area they saw a creature that “was part bird, with the face of a man, scales like a fish, horns like a deer and a long black tail”. A representation of the bird is painted on the side of the bluff. 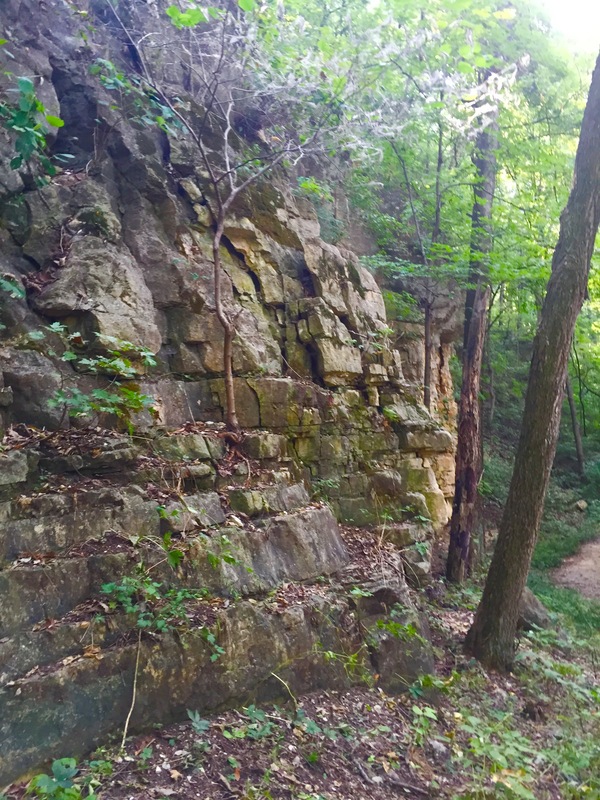 Pere Marquette State Park is a great park to hike at and there are so many other things to do in the area. If you have any questions or comments, please leave them below! Loved the view of the river & the tugboat!! Of course, loved the pic of your hiking buddy & you & hiking buddy!! Thank you for the review of the park – we are looking to make the 3+ hour drive down soon. It’s always good to get a non-park-employee perspective on places when travelling so far. 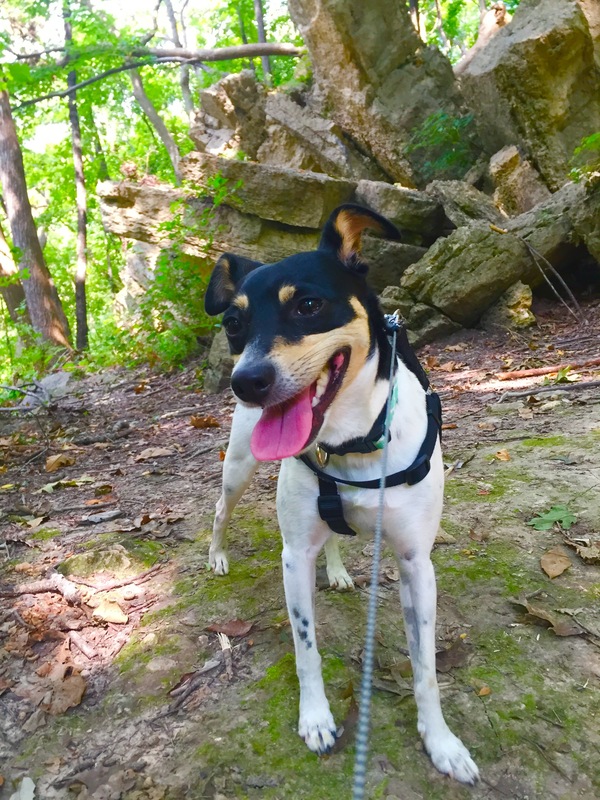 I think we’ll copy your hike! Great!! If you have any additional questions just let me know! 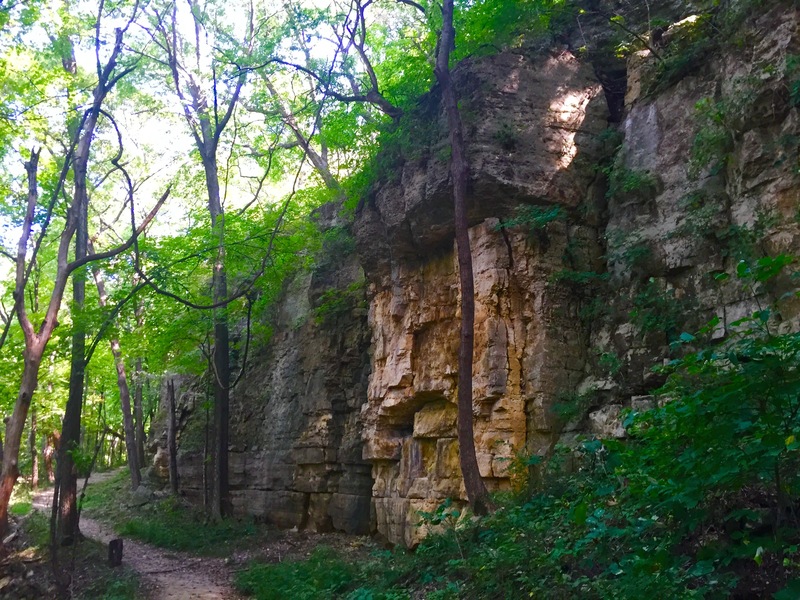 If you are looking for another good hike in the area, check out the Nature Institute in Godfrey, Illinois. Have fun!! My only 2 concerns are personal safety/crime and snakes. Uncomfortably close to big city. Read that there are 3 types of venomous snakes! I wouldn’t worry about the crime of St. Louis. The park is pretty isolated and not really near the city. I have never felt unsafe there. As far as snakes, in all the hiking I have done I have only encountered one snake so hopefully you don’t encounter any!! Happy hiking! !